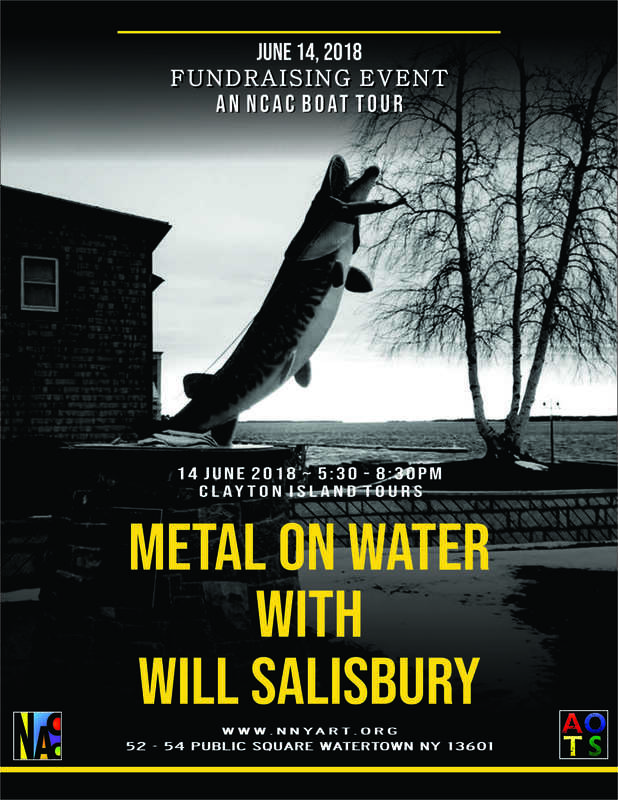 The North Country Arts Council is proud to present the 2018 NCAC Artist Recognition Cruise on the St. Lawrence River on June 14th, honoring the work of one of our area’s outstanding, nationally recognized artists, Will Salisbury, from Omar, NY. 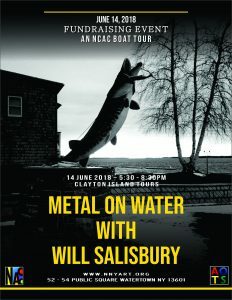 Our tour, “Metal on Water”, will feature stops at many of Will Salisbury’s notable metalwork creations including sculptures, weather vanes, and gargoyles throughout the Thousand Islands. This unique tour is serving as a fundraising event for essential improvements at the North Country Arts Council art gallery, Arts on the Square, 52-54 Public Square in Watertown, NY. Our recently reconfigured and improved gallery is part of an ongoing resurgence in the Public Square area of downtown Watertown. This event will help fund essential improvements at AOTS including gallery lighting, class space, and efficient display areas. The tickets are $65/person and $100/couple, and include a Hors d’Oeuvres and Champagne Reception. You can purchase your tickets at Arts on the Square, Monday to Friday from 11-6, and Saturdays form 11-3. Or online at the link HERE.